A light coloured trouser is a capsule wardrobe essential but they can be notoriously unforgiving. 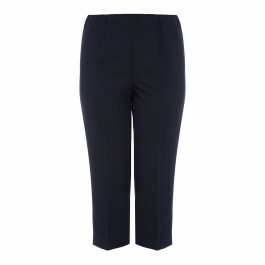 That's why we love these flattering culottes by Verpass. Made with a touch of elastane, loose on the leg with an elasticated waist they're perfect for creating a fresh look. Team with a breton stripe and exude classic Cote D'Azur chic. Cream pull on culotte. 75% polyester, 20% viscose, 5% elastane. Wash at or below 30°C. Do not tumble dry. Do not dry clean.